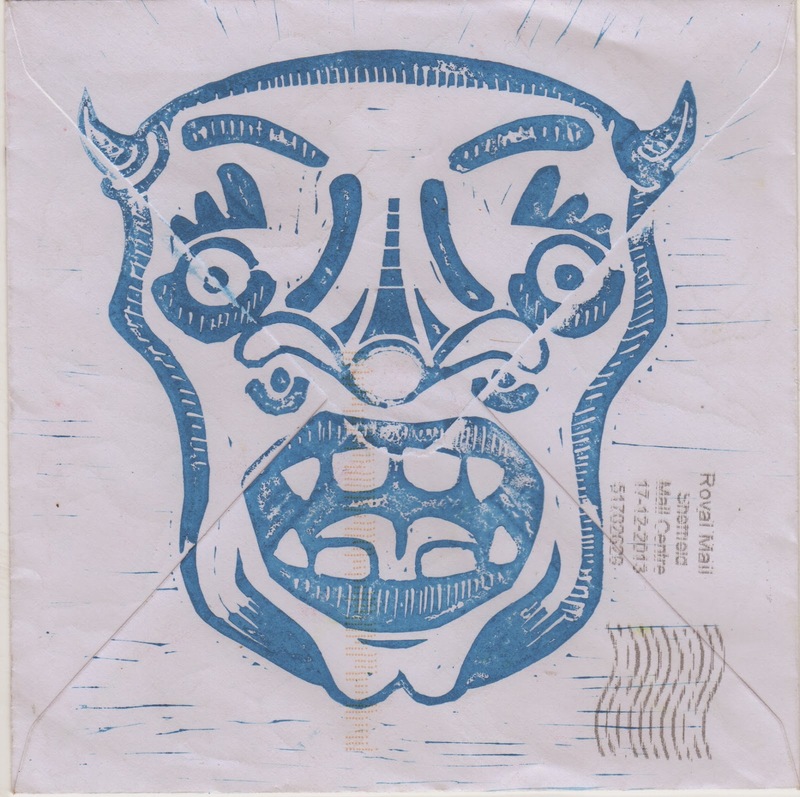 The Postal Ledger: E Elkan likes my blog! 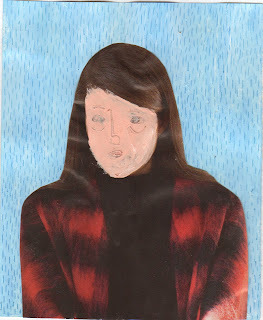 Received this from E Elkan, along with a note: "Hello, I like your blog." 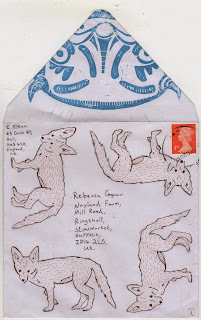 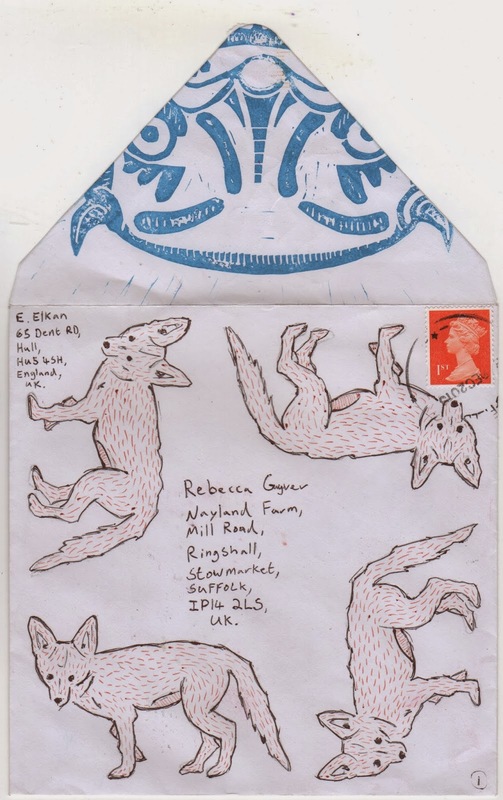 Great to get mail art from Hull, and I adore E Elkan's sense of colour, portrait, foxes and stamps! 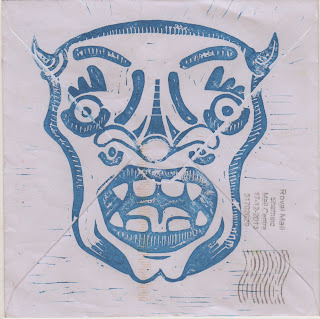 I have already sent something back.